Wholesale Brazilian virgin hair from Guangzhou kabeilu co,Ltd. 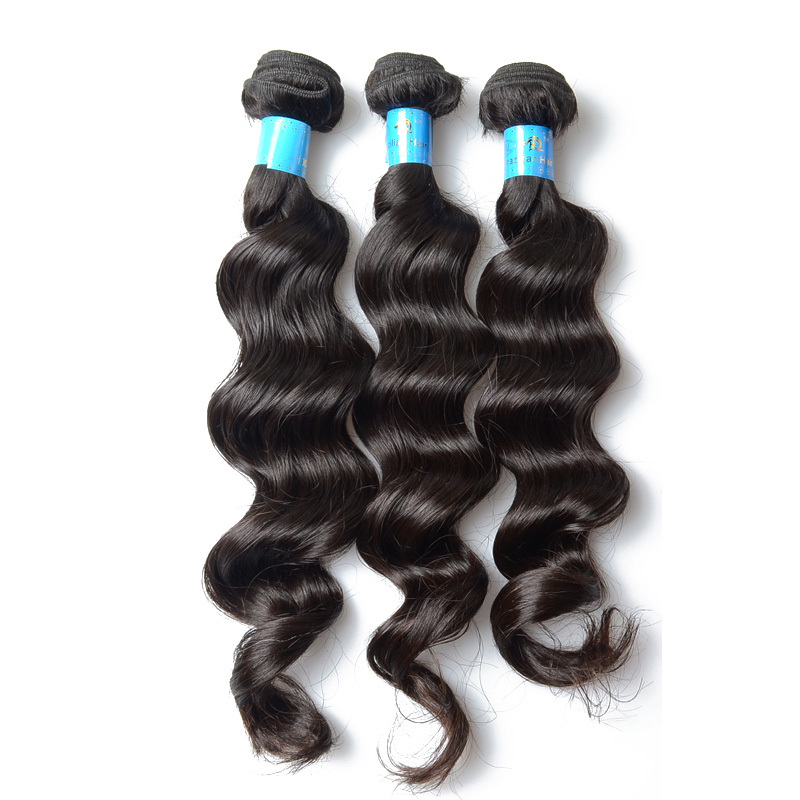 You can buy the top quality hair at lowest price. Why Brazilian hair become so popular? Because it's softness, durability and density (thickness) texture. Brazilian hair is extremely luxurious and very soft with a lot of body and natural shine. Also because of its density, it is less likely to frizz. Brazilian hair will also hold curls for very long time . This hair is extremely versatile. It’s amazing! Kabeilu.com promise that we only sell 100% real Brazilian hair. Our Brazilian hair is from Brazil, with soft and soomth texture,No tanging and shedding,also can be dyed and bleach. Usually,can last for more than 2 years long with good care. There're many people will be confused about how can we make sure you're selling 100% human hair? Don't worry. let me tell you the true from KBL professional understanding one by one for the processed and unprocessed hair.Do you know the human hair has squama and contain protein? SO that can make it looks luster. This is virgin human hair 100% unprocessed. Due to our hair can be dyed and iron,so we haven't need to processed these human hair, cause after processed the squama will less and less. Then when you dye and iron the hair will go to be damaged and can no keep long time. Our Brazilian virgin hair is soft and fuller, looks luster and can keep longer. After we cuted from one girl will wash and disinfected then sell it to our customer to make sure the hair is fresh. Want to buy top quality hair at lowest price, can buy it from kabeilu.com. Good quality hair you can deserve from KBL!